Don't miss our delicious updates! Sign up now for free! These insanely addictive, soft and chewy oatmeal cookies are chunky, moist and finger-licking good! 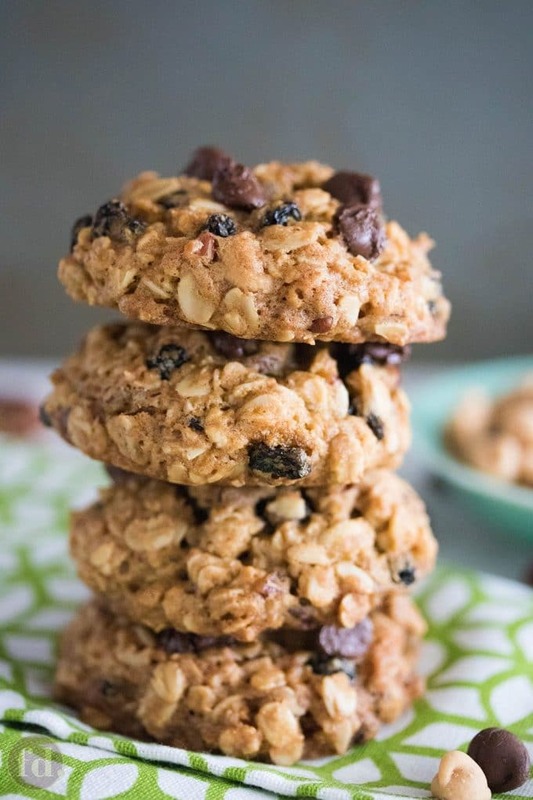 Each cookie is generously loaded with the goodness of rolled oats, toasted nuts, blackcurrants, and made just a little sinful with semi-sweet chocolate chips thrown into the mix. Have you had a cookie so incredibly good that you wished you could have it for breakfast, brunch, tea, and supper? Because this here – these thick and chunky, soft and chewy oatmeal chocolate chip cookies – are absolutely, insanely addictive. Eat these jam-packed cookies at your own peril, guys, for you will definitely experience a whole new level of cookie love!